Whilst not wanting to diminish the fantastic efforts of the Band Aid musicians and pop stars for their efforts to reduce the suffering of people in West Africa suffering with Ebola ( Go buy the BandAid30 track if you haven't already), and I agree with Bob Geldof, a disease that prohibits you from comforting and touching loved ones is most abhorrant, meanwhile billions of other Earthlings' lives face torture and death unnecessarily, every Christmas, every year, every month, every week, every day, every hour, every minute, every second. Every year it's estimated 56 billion farm animals (that's not even including all marine life e.g. smoked salmon prawns, dolphins and whales) are tortured and killed just for fun. Just for our culinary entertainment, just to ammuse our tastebuds, just because we are too lazy and set in our ways to find vegan alternatives that taste just as good, are usually healthier , undoubtably have far less detrimental impact on the planet are fairer and just as nutritious. Do the animals know it's Christmas ? No! 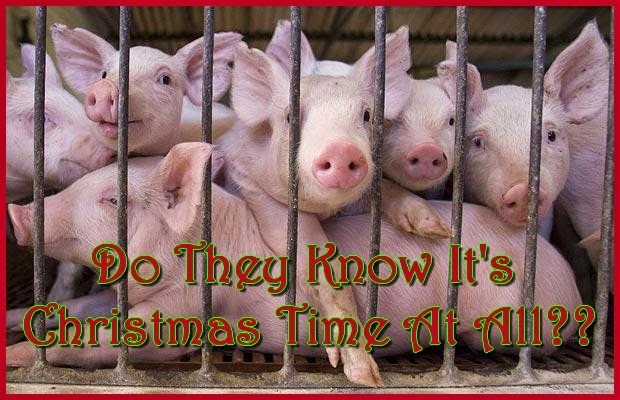 So here are some new vegan / vegetarian lyrics to the Feed the World Christmas song to highlight that there are billions of lives of animals who don't know that it's Christmas time at all and it's business as usual for the people with the electric prods and stun guns and bolt guns and knives and saws sloshing about in a sea of blood. And the children yet to come! 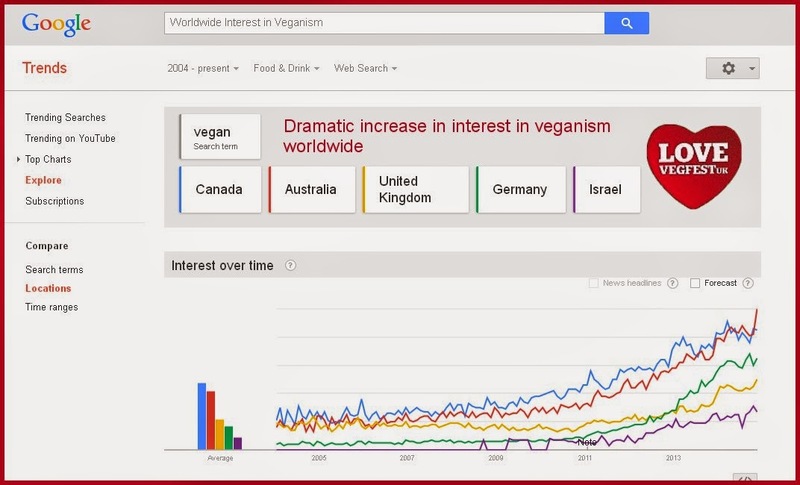 Interest in veganism and the solutions it provides have been noted all over the world. 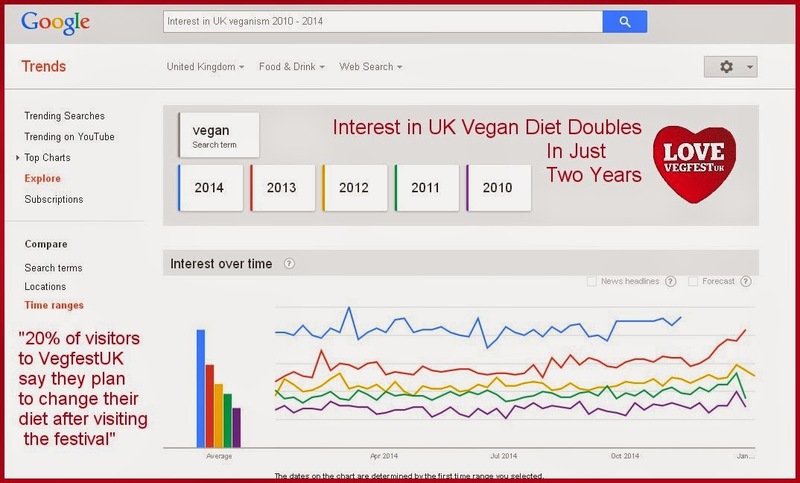 The UK is not the only place to have seem dramatic increase in interest in vegan diets, Australia, Canada, Germany and Israel have also seen ubiqitous changes. Whilst Vegfest UK couldn't claim to be the sole reason veganism has grown so quickly in theUK since 2012 Vegfest has undeniably played a very big part in the jigsaw. In straw polls taken at Vegfest 20% of those interviewed said they would be changing their diet following their visit to Vegfest UK. 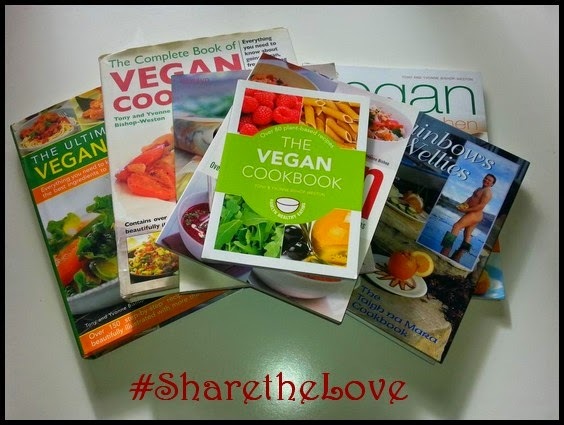 Time to get a Vegan Cookbook? 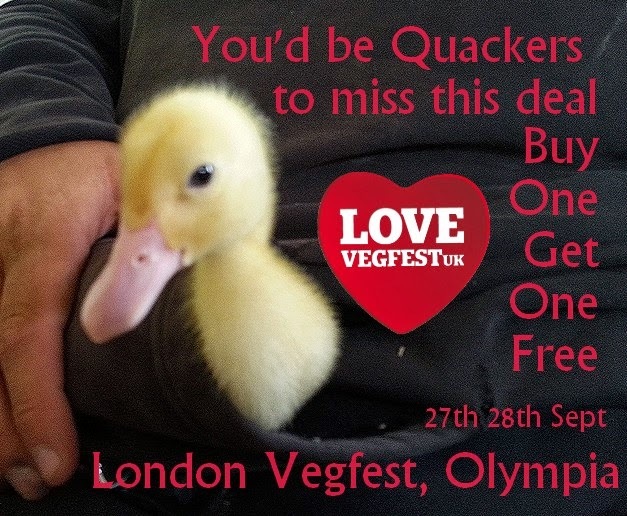 This year, in a new bigger venue, VegfestUK offers even more reasons for visitors to visit with political debates and a conference on sustainability. This emerging market offers unique investment opportunity for all types market opportunities and those with creative ideas on healthier, more sustainable versions and vegan alternatives to products we know and love but can no longer justify. Products that are healthy, more environmentally friendly and more ethically produced win hands down if they are of the same quality of experience (eg Taste) and competitively priced. 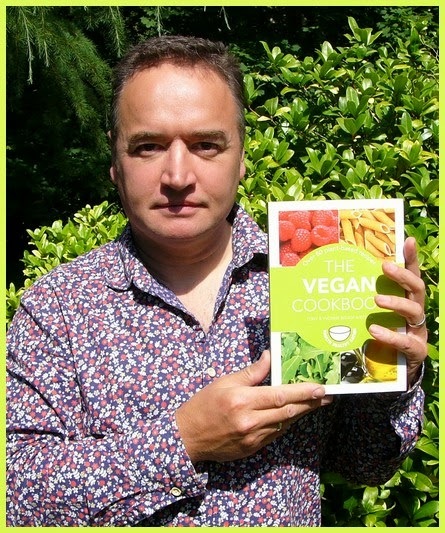 You could also buy your friends and colleagues a fantastic vegan cookbook gift this Christmas / Thanksgiving and spread the love that way? World Vegan Month starts with a BANG! 2014 has seen unprecedented amount of coverage in the national newspapers for World Vegan Day enjoying over a year's worth of publicity for The Vegan Society's 70th Birthday over just one weekend. A great way to kick start World Vegan Month in the UK. 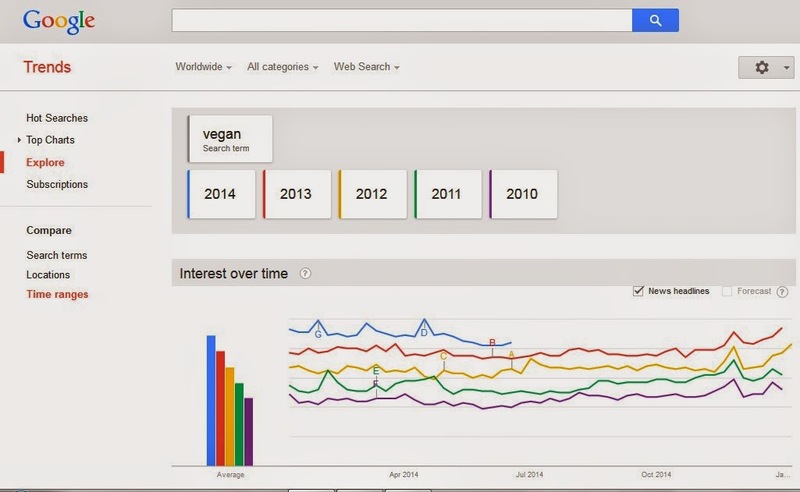 The only blot on the vegan landscape is that once again Google decided to snub world vegan day and refuse to do a Vegan Google Doodle Voogle to celebrate the day. That would have been the icing on the egg free dairy free cake , buy hey, just look at the list of successes below ! http://www.bbc.co.uk/news/uk-politics-29900765 Vegan MPs in Parliament - "Chips are down!" Here's the everything is awesome (NOT) Lego movie in full - for free to download and share. Greenpeace made this to highlight the deal between Lego and Shell Oil effectively supporting the tragic disaster movie about to happen in the Arctic driven by selfish greed and oil blindness. Many many years of blood, sweat and tears with volunteers or frugally paid staff at the front end of cutting edge veganism is reaching it's climatic end. Vegan Cheese? you got it! Vegan caviar? you got it! The Vegan Society has gone from a charity obsessed with what it is against to one that stands up and speaks out about what it is for. Some would ask what is it for? A membership organisation dedicated to providing information about veganism and how to be vegan when now you can just google the word and have your ipad spew out 39 million pages in less than a second? But someone or some body has to be guardians and keepers of the word 'vegan' , defend Donald Watson's definition of the word vegan in the face of those who argue that honey is vegan or that breast milk isn't vegan or those who just generally miss the point. Some body has to be caretaker for the history of veganism and curate the volumes of scientific research that support the case for veganism and a vegan diet. To be brutally honest The Vegan Society is now, on an every day, day to day level, at street level , largely defunct, almost redundant as a support network because the job of making a case for a vegan diet and a vegan lifestyle is almost done. Veganism has been well and truly unleashed from Pandora's box, the cat's out of the bag, Being Vegan is almost normal. Big supermarkets such as Tescos are now labeling products vegan and trialling vegan shelf talkers, Ocado has a whole vegan section online. Big investers such as Microsoft's Bill Gates and Twitter's Biz Stone are investing in vegan meat free alternatives and vegan cheeses. Scientists and biochemists are genetically engineering yeasts to make true dairy free vegan cheese. TV moguls such as Oprah Winfrey and Hollywood gentry such as James Cameron speak out for sustainable healthy veganism. Doctors, physicians and health professionals prove that a health vegan diet can cure heart disease and reverse diabetes. Even McDonald's chomping presidents of the USA such as Bill Clinton now follow a vegan diet. A normal person , on a normal day could read in The Daily Mail that a vegan diet is good for your heart problem or good for diabetics wander into a supermarket and fill up their trolly with vegan ice cream, vegan pancake mix, vegan cakes, vegan cheese, vegan sausages, vegan chicken, vegan chocolate, vegan mousse and spend half an hour trying to choose which dairy free vegan milk to buy - soya? Henp milk? oat? almond? flax omega 3 milk? coconut? rice milk? tigernut milk? hazelnut ? the list just keeps growing. Then they can go recover and pick up a Soyaccino at Costa Coffee or Pret a Manger. They could even pop into Ikea on the way back and pick up some vegan caviar. There will inevitably be those animal rights extremists who morn the day their little niche, quirky organisation with it's 5,000 members turned into a mainstream organisation with millions of supporters but lets face it - Wallmart, McDonalds, Unilever, Kraft, Pizza Hut, Kentucky fried chicken, Coca Cola, Pepsico, Doritos, Subway, Krispy Kreme Donuts, Burger King, Nestle - they don't care about the thousands - they think in millions. Now there are millions of customers of vegan foods they are listening. Donald Watson would be very pleased indeed that so many people now agree with his logical philosophical thoughts over 70 years ago a great way to mark 70 years of veganism. And your problem is? Why would you give up cheese ? 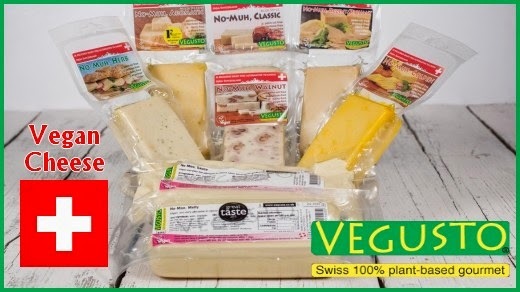 There are so many vegan cheeses on sale now, in fact more dairy free vegan cheese than you can shake a stick at! Made from rice, soya, nuts., peas, oats, seeds, potatoes and all manner of other things dairy free vegan cheese is rocking the world and shaking up cheese boards and pizza restaurants and cheese toasties and filled rolls. Sales are partly drived by lactose and dairy protein intolerance concerns, partly by ethical and environmental and health concerns but mainly because some vegan cheese is so good that many people prefer it to cow's cheese! Even Tesco supermarkets sell vegan cheese now but if you've not had a chance to taste a good dairy free cheese then get yourself along to a vegfest or vegan festival happening near you soon! 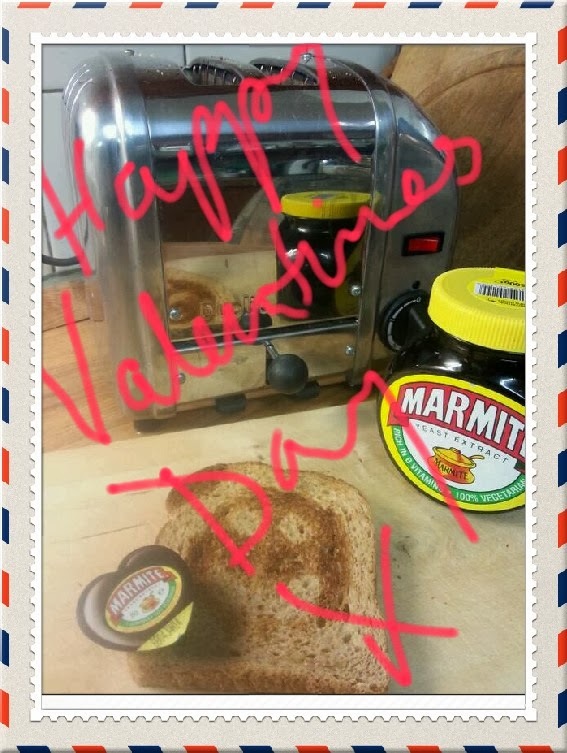 Marmite! I can explain everything!